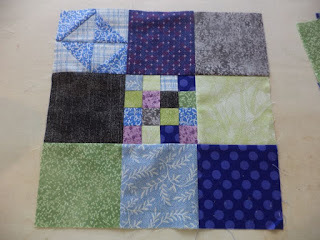 So remember back ages ago when I cut up my flannel scraps into 2.5", 4.5", and 8.5" squares to make scrap quilts? Well the first one is finally done. This is the one that had more manly colors. 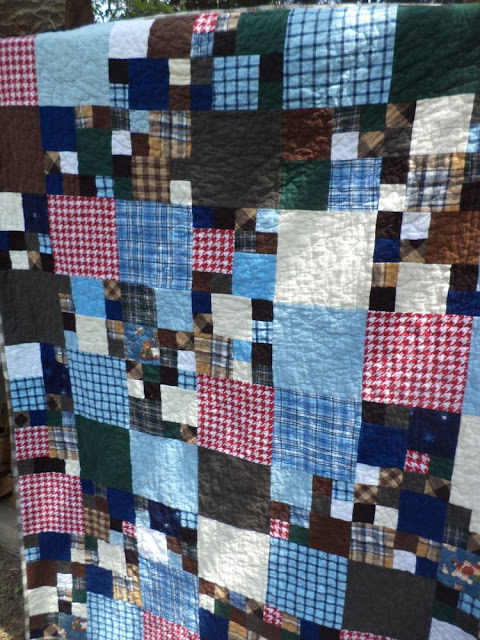 The scrap quilt finished at 56"x72" and it's super cuddly with a flannel back and everything. I used a slightly fat seam allowance to make sure my seams wouldn't ravel. This is another quilt to be donated to Covered in Love. 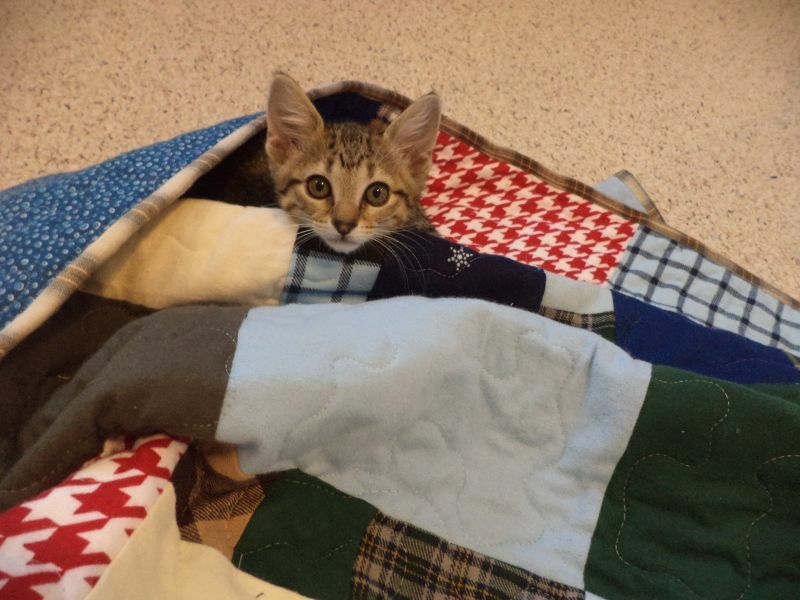 With the latest batch of quilts we are up to over 20 donated! 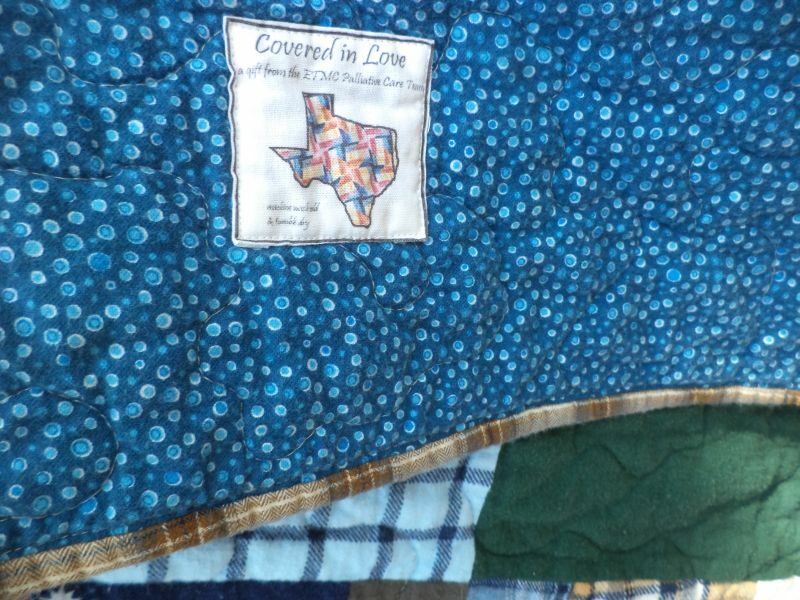 20 families who had to walk out of the hospital for the first time without the loved one they came in there with carried a comforting quilt made with love. Thanks to everyone who has contributed, please keep sending in those quilts, tops, and blocks! 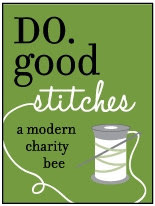 Everything you contribute helps. Rory quality tests every quilt before it leaves the house. If you aren't up for a whole quilt, remember for September you can contribute by making patchwork mosaic blocks. The tutorial post is here. In my opinion, nothing is better than a flannel quilt--beautiful work! That quilt sure looks like it will cover someone in wonderful hugs. Love the photo of Rory-what a little cutie. Oh how gorgeous, it looks incredibly snuggly just perfect for giving someone a hug when they need it. What a great mission your Quilts have, and Roru too. Great spacing of the red patches, did you use design wall? Looks like lots of stipple quilting, do you think flannel needs more quilting? Hope thats not a silly question; planning my first flannel project. 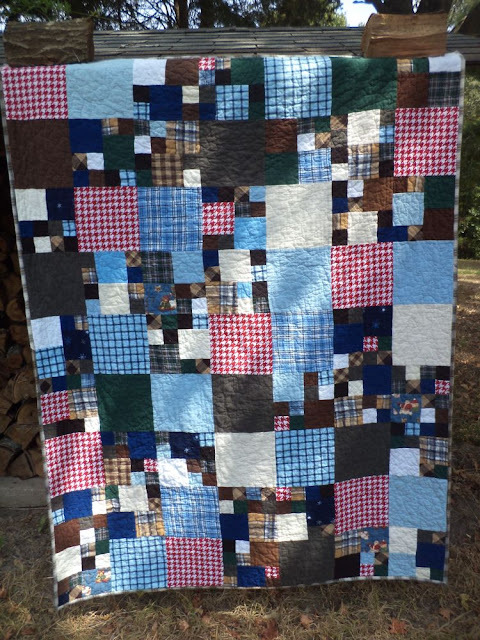 Can't beat a scrappy flannel quilt for being cozy! I think Rory agrees. ;o) A great finish and a wonderful cause to give it too. 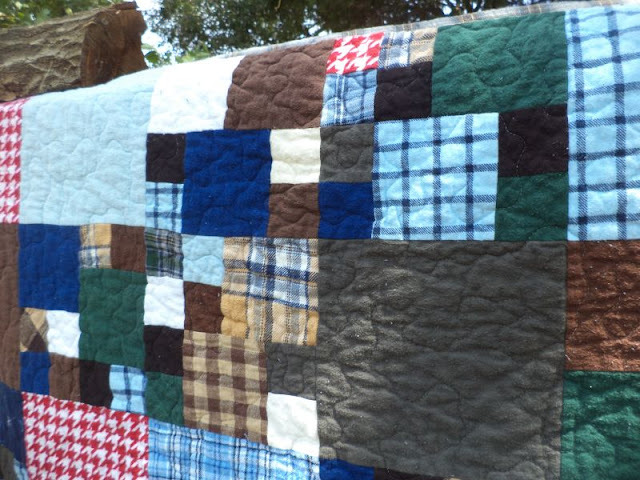 Lovely to see your warm coloured quilts as well as pictures of Rory, such a cutie!